SAN FRANCISCO--(BUSINESS WIRE)--RSA® Conference, the world’s leading information security conferences and expositions, has named UnifyID “RSAC Most Innovative Startup 2017.” This year, RSA Conference partnered with leading technology news outlet, TechCrunch, to host its Innovation Sandbox Contest. 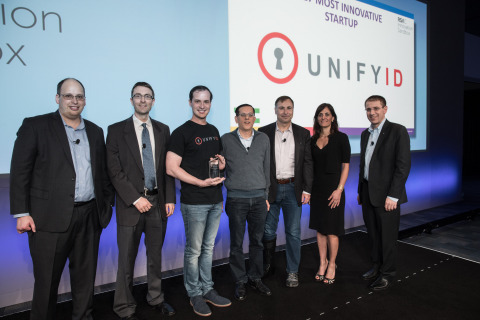 A panel of venture capitalists, entrepreneurs and large security companies selected UnifyID from a group of 10 finalists as the winner. The annual conference competition is a half-day program during which up-and-coming startups grab the spotlight and demonstrate groundbreaking security technologies to the broader RSA Conference community. Past winners include Sourcefire, Imperva and most recently Phantom. UnifyID is the first holistic implicit authentication platform designed for online and offline use. Its solution utilizes sensor data from everyday devices and machine learning to seamlessly authenticate users. By combining 100+ attributes, UnifyID achieves more than 99.999 percent true positive rate.